The Redmon Green Culture is a great item to simply and conveniently transform your kitchen and lawn scraps into nutrient-rich compost. The bin can hold up to 8.6 cubic feet and has a lift-off lid, making it easy to add more waste to the composter. The body of this product is made of rugged plastic resin. This is a great way to start contributing to the environment by decreasing the amount of waste in your own home. It has a larger capacity than the Envirocycle 35-gallon composter. It is also much less expensive. This makes the Green Culture more preferable than the Envirocycle brand in terms of cost-effectiveness. 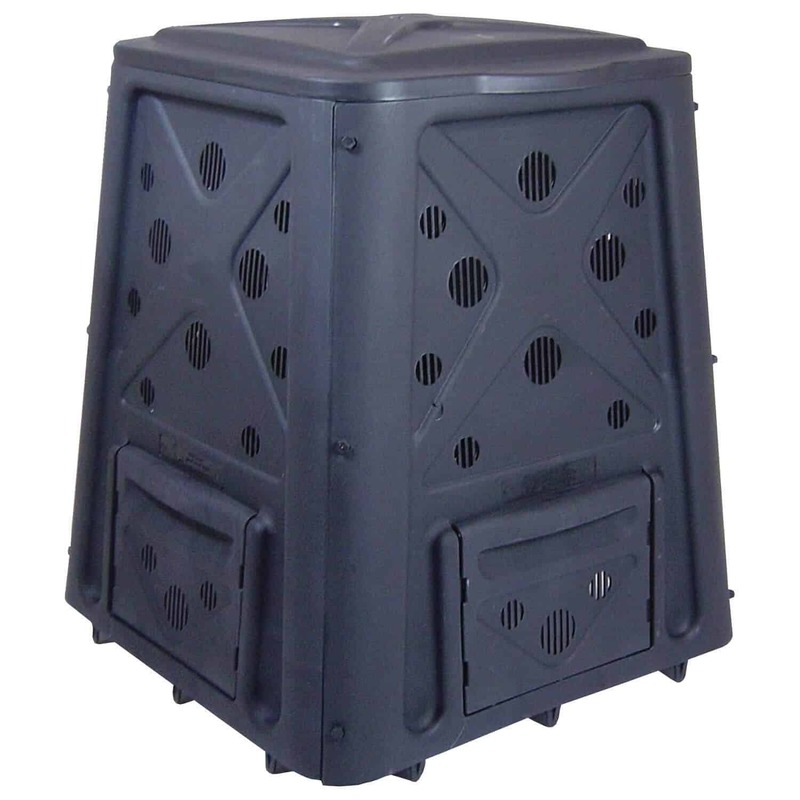 In terms of design, the Redmon composter has a more rugged design than it counterpart which has a sleek design. It is lighter in weight as compared to the Envirocycle which makes the product more ideal if you plan to move it to other parts of the garden. As compared to the Lifetime, the Redmon is smaller in capacity. This makes the Lifetime more ideal for those who want a larger compost bin. However, the Redmon wins in terms of price and accessibility with its four doors located at the bottom of each of the four sides of the bin. It also weighs a lot less and is a great space saver as it has smaller dimensions than the Lifetime 60058 Tumbler, but it lacks the rotating function that the tumbler offers. Simple assembly - The product is easy to put together and should only take about 10 minutes to assemble. Simply fasten all four plastic panels together and then place the small plastic doors at the bottom of every side panel. All parts can be fastened with nuts and bolts. There are no tools needed to assemble this bin, making it easy to put together. Weather-proof - This composter can withstand even the wettest rainy season due to its water-resistant plastic construction. This is a great convenience since it stays outside all year. You can be certain that the compost and other scraps will be protected against moisture. Easy to use - The Green Culture has a lift-off top which makes the addition of food and garden scraps simple and convenient. The extra doors add access to all sides of the bin, making it easier to remove the ready-to-use compost out of the bin without creating a big mess. Just add the scraps and wait for them to decompose in the bin, and you will be harvesting compost in no time. Large capacity - It can hold as much as 65 gallon or 8.6 cubic feet of food and garden waste. This is a great advantage over other products which have smaller capacities. The product allows you to add waste all year long, generating more rich soil compost for your plants and garden. You can eliminate more garbage with this simple product. Fast composting process - It has ventilation holes to make the composting process faster. It is also designed without a bottom which makes it easier for worms to access the wastes and form them into nutrient-rich soil. The composting process tends to be faster during the summer months. Inexpensive - This product costs less than other brands with similar features. This makes it a good purchase for any household that wants to try decomposing for environmental and economic purposes. 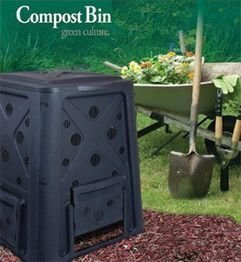 Made from lightweight material - A major concern of quite a few of customers who have purchased the composter is that it is made of flimsy plastic material and is so lightweight that it might be blown away by strong winds. This could happen if you don’t place it securely on even ground. If you live in a windy area or are concerned about the device blowing away, you may want to consider other products that offer more durability and sturdiness, like the Envirocycle which is made of solid materials. Not enclosed enough to contain foul odors - Some customers have issues regarding the open bottom design which attracts bugs and emits some foul odors. This is to be expected when you have food waste that is decomposing. Be sure to place your bin far from windows and doors, or consider other brands that have enclosed designs, like the Lifetime Compost Tumbler. Attracts bugs and rodents - Quite a few customers have problems with bugs and fruit flies that hover over the product. This can happen with decomposing food scraps, but you can solve this easily by covering the green waste with brown materials, like dead leaves, to conceal the odor of composting food. Is The Redmon Right For Me? ​Then this is the perfect composter for you. 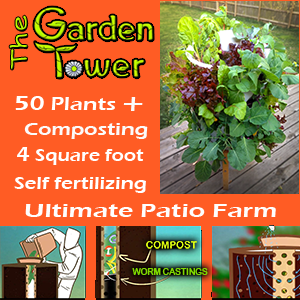 The Redmon Green Culture is ideal for those novices who want to attempt the art of composting but are on a tight budget. The top lid can be lifted open to easily loading more food and lawn waste. With its other features, like ventilation holes and waterproof design, this is a great investment for any household. Moreover, its large capacity can hold quite a bit of waste that can be reused fas compost. Check Out The Redmon Green Culture NOW!